Taylor Swift may have won 2014, but it&apos;s a week into 2015 and she&apos;s already been upstaged. Music purists will be happy to hear why: Swift has been ousted by Mark Ronson, Bruno Mars and the return of soul music. It&apos;s no small moment. Swift&apos;s "Blank Space" spent seven weeks at No. 1 on the Billboard Hot 100. It solidified that 2014 was a monumental year for Swift, who sold millions of copies of 1989 and snagged the only platinum record of the year. Swift held the year&apos;s final reigns, marking 19 consecutive weeks of only women in Billboard&apos;s No. 1 spots. But Wednesday, Mark Ronson and Bruno Mars&apos; soul throwback "Uptown Funk" claimed the top spot, signaling that 2015 would be different. 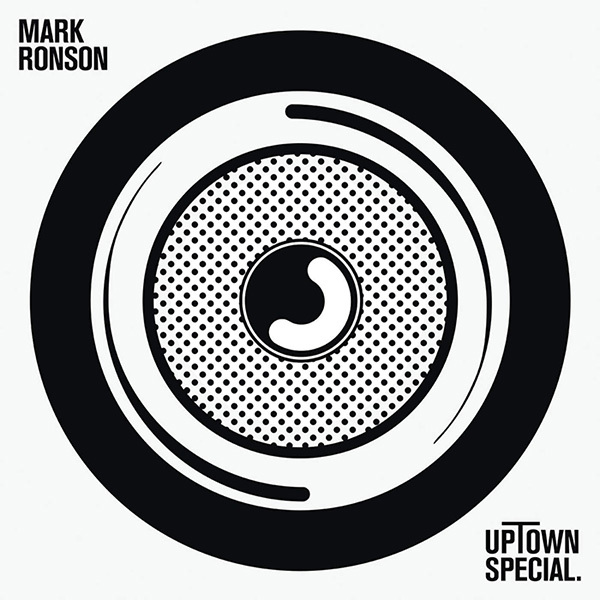 It isn&apos;t just the one song though, one week from now, Ronson will release Uptown Special — the album that&apos;s promising to bring soul and funk back into the mainstream. Ronson&apos;s album is due out next week, and reports are that it&apos;s brilliant and feel-good, a surefire hit. "Uptown Funk" is not the first time Mars, whose hits include "Grenade" and "When I Was Your Man," has hit the top, but it&apos;s a newfound glory for Ronson. The 39-year-old English musician-turned-producer-turned-soul revivalist made his name as Amy Winehouse&apos;s muse and producer, but he&apos;s never had an American hit of his own. This song, though, is different. "It&apos;s definitely one of the best things I&apos;ve ever done," Ronson told Billboard. "And, I know that it&apos;s one of Bruno&apos;s favorite things that he&apos;s ever done as well." "Uptown Funk" is only the beginning. The track list for Uptown Special looks like a classic soul record in the making, with vocals ranging from New Orleans-based rapper Mystikal to Tame Impala&apos;s groovy frontman Kevin Parker. There&apos;s also an unknown gospel singer named Keyone Starr who Ronson discovered on a journey south. And then there&apos;s a guest spot from Stevie Wonder, and a host of lyrics written by Pulitzer Prize-winning author Michael Chabon. In short, the album has an unbeatable team behind it, with Ronson at the helm. It&apos;s like a manifesto for a new moment in soul, but it&apos;s a moment that&apos;s been a long time coming. Reviving and remixing soul music in a timeless way is what Ronson has always done best. It started when he was a 16-year-old DJ in the early &apos;90s, finding inspiration in New York City-based hip-hop collectives like Run D.M.C. and the Beastie Boys. But when he began sampling albums like the Beastie Boys&apos; Paul&apos;s Boutique — a veritable "rap opera" of sampled tracks — in his own sets, Ronson uncovered the Motown sound. So much of early hip-hop pulled from the likes of Wonder, James Brown and the Commodores that it was impossible for Ronson not to find himself inspired by soul. He dissected his way through classic samples that reminded him of the importance of soul music&apos;s history. De La Soul and the Beastie Boys "were sampling those records because they heard something in that music that spoke to them," Ronson said in a 2014 TED Talk. "You can&apos;t just hijack nostalgia wholesale. It leaves the listener feeling sickly. You have to take an element of those things and bring something fresh and new to it." That was something Ronson learned after working with the late Winehouse, who passed in 2011. He was a major part of the success behind her second and final album, Back to Black, handling the production on iconic tracks like "Rehab," "You Know I&apos;m No Good" and bonus tracks like "Valerie." Alongside co-producer Salaam Remi, the three became a dynamic and powerful trio, with Winehouse as their modern vocal vehicle for soul. The album garnered a number of Grammy Awards in 2008, including Best Pop Vocal Album, Record of the Year and Producer of the Year for Ronson. The trio was proof that nostalgic soul, if handled properly, could work within pop music in all the right ways. And it&apos;s that influence that has primed modern pop music for Uptown Special to be a genre-redefining hit. "There was no doubt that Amy and I and Salaam had this love for this gospel-soul and blues and jazz that was evident listening to the musical arrangements. But [Amy] brought the ingredients that made it urgent and of the time," Ronson said in his TED Talk. "When we really add something significant and original and we merge our musical journey with this, then we have a chance to be a part of the evolution of that music that we love. We are linked with it once it becomes something new again." And that&apos;s exactly what is about to happen all over again with the Uptown Special, thanks to a collective of artists committed to bringing soul to the masses again. Ronson showed us it could be done on Back to Black, but 2015 calls for something different. Uptown Special is exactly the album we&apos;ve been waiting for. And if Ronson can finagle a psych-rock frontman into working with a Pulitzer-Prize winning author on a heavy funk track, then it&apos;s definitely going to be the best album of 2015. It&apos;s a new year, and soul is back. It already feels right.